Caption: Filipe Toledo (BRA) will be up against 2017 CT Rookies Joan Duru (FRA) and Leonardo Fioravanti (ITA) in Round 1 Heat 9 of the Hurley Pro at Trestles. SAN CLEMENTE, California/USA (Monday, September 11, 2017) – The Hurley Pro at Trestles, Stop No. 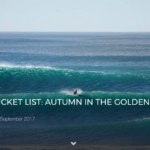 8 of the World Surf League (WSL) Championship Tour (CT), has been called ON in 2-to-3+ foot (0.5 – 1+ metre) surf at the famed cobblestone break of Lower Trestles. Men’s Round 1 will kick off at 8:00 a.m. followed by the first five heats of men’s Round 2. The Swatch Pro will be off for the day. An all-Brazilian affair will kick off the Hurley Pro at Trestles as 2015 WSL Champion Adriano de Souza (BRA) will battle Wiggolly Dantas (BRA) and Miguel Pupo (BRA) in Round 1 Heat 1. Jeep Rankings Leader Jordy Smith (ZAF) is back to defend his Hurley Pro at Trestles victory and begins his campaign against 2017 rookie Ian Gouveia (BRA) and event wildcard Evan Geiselman (USA) in Round 1 Heat 6. Fresh off of his Billabong Tahiti Pro win, Julian Wilson (AUS) is pitted against a hefty Brazilian duo of Caio Ibelli (BRA) and Jadson Andre (BRA) in Round 1 Heat 2. 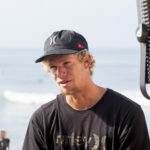 Round 1 Heat 5 features reigning WSL Champion John John Florence (HAW) against aerialist Italo Ferreira (BRA) and wildcard threat Hiroto Ohhara (JPN). Florence will look for a strong start at Lowers to help hold his ground at the No. 2 ranking. The last heat of Round 1 will witness three-time WSL Champion Mick Fanning (AUS) face off against fellow power surfers Michel Bourez (PYF) and Ezekiel Lau (HAW). Modest, new S swell will build in though Monday and continue Tuesday. A larger S swell will build through the day on Wednesday, peak Thursday and fade Friday and should offer the largest surf of the waiting period late Wednesday and Thursday. Conditions look generally favorable Mon-Thur in the mornings, but may turn problematic by Friday as S wind develops. The Hurley Pro and Swatch Pro at Trestles will be broadcast LIVE via WorldSurfLeague.com, the WSL app and on Facebook LIVE via the WSL’s Facebook page. Also check the local listings for coverage on CBS Sports Network in the U.S., Fox Sports in Australia, ESPN in Brazil, Sky NZ in New Zealand, SFR Sports in France and Portugal,Sport TV in Portugal and the EDGEsport Network. 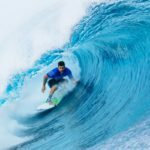 The World Surf League (WSL), formerly the Association of Surfing Professionals (ASP), is dedicated to celebrating the world’s best surfing on the world’s best waves through a variety of best-in-class audience platforms. The League, headquartered in Santa Monica, is a truly global sport with regional offices in Australasia, Africa, North America, South America, Hawaii, Japan and Europe.The WSL has been championing the world’s best surfing since 1976, running in excess of 180 global events across the Men’s and Women’s Championship Tours, the Big Wave Tour, Qualifying Series, Junior and Longboard Championships, as well as the WSL Big Wave Awards. The League possesses a deep appreciation for the sport’s rich heritage while promoting progression, innovation and performance at the highest levels, and in doing so crowns the undisputed world champions in Men’s, Women’s across all divisions within the tour.